Ace Indian shuttler Kidambi Srikanth continued his rich vein of form as he got the better of fellow countryman B.Sai Praneeth in straight games to romp into the semi-finals of the Australian Open Super Series here on Friday. 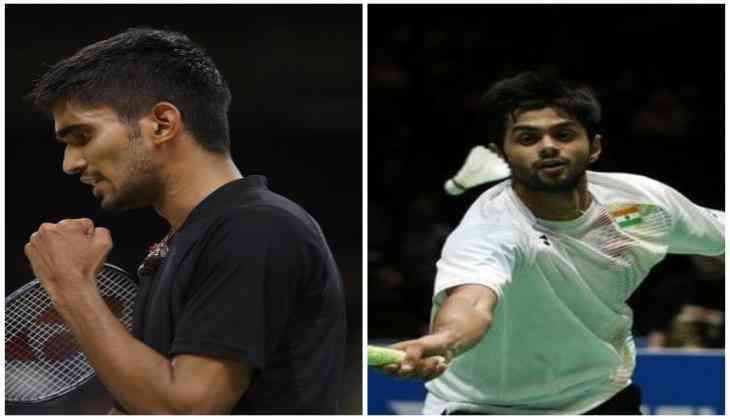 Srikanth, who was playing his third quarterfinal in last five tournaments, outplayed Praneeth 25-23, 21-17 in a thrilling all-Indian last-eight clash of the men's singles event that lasted 45 minutes at the Sydney Olympic Park Sports Centre. After trailing 6-9 in the opening set, Praneeth rebounded strongly to earn three points in a row to make it 9-9. However, the Hyderabadi player didn't manage to hold Kidambi, who eventually extended his lead to 11-9 at the break of the second game. With the win, Srikanth has avenged his Singapore Open loss, where Praneeth defeated the former 17-21, 21-17, 21-12 in all-Indian final to lift his first ever Super Series title. Srikanth will next lock horns with the winner of another quarter-final clash between China's Shi Yuqi and Denmark's Hans-Kristian Vittinghus.